I suppose I’m expected to make some sort of post that explains to everyone out there in Internet land who on earth I am, and why on earth you should care enough to read this blog. I’m 27, I’m from Montreal, I have a moderately serious travel addiction that is held in check by boring obligations such as pets, a job, and lack of funds. I uprooted my life on a semi-whim in 2010 and moved to Toronto, which involved a career change. It’s been an eye-opening experience. What else? Je parle français, but I’ve decided this will be a mostly English-language blog because I don’t write as well in French. I graduated from Concordia University in 2006 with a joint specialization in communications and journalism, but so far that degree has proved mostly useless. I am halfway through a graduate certificate in environmental science from McGill University, but that’s sitting on the back burner for now cause I’ve simply lost interest. I want to learn how to brew beer in the next few months, and I also want to get a SCUBA diving license. I was diagnosed as an adult as having ADD, but having already taken the scenic route through university and made it through, I decided not to do anything about it. 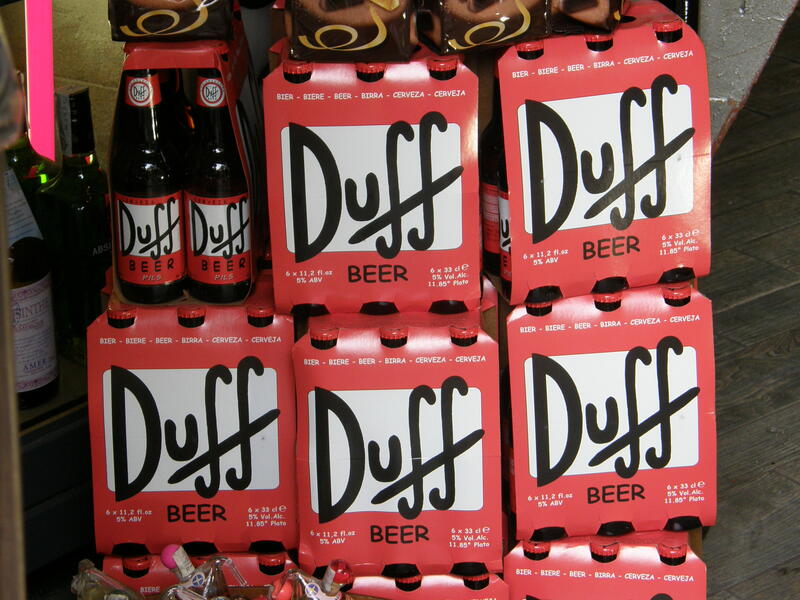 It just allows me to get distracted by things like sewer grates in Rome and Duff Beer in stores. Seriously. I’ve traveled to the following countries: Canada, US, Ireland, Greece, Italy, The Vatican, Egypt, Israel, Jordan, Palestine, Thailand, Cambodia, Vietnam, and Iceland. And I pooped in the washroom in the airport in Japan, but I never actually went into Japan, so I don’t know if it counts or not, but I think it does. I don’t have a bucket list of places I ‘must’ see, but there are few places that come to mind that I wouldn’t be interested in going to. The immediate short list includes France, the Czech Republic, Iceland, Belize, Costa Rica, Peru, Russia, China, Indonesia, and Morocco. Who knows where I’ll actually end up though? Sometimes I travel alone. Sometimes I run off with my friend David, and sometimes I travel in more organized groups. Everything depends on how much time I have to plan a trip, where I’m going, and how much I can afford. I prefer to visit North America and Europe on the fly – I can muddle through enough Spanish or Italian to squeak by in Europe, and everything is easy enough to find and get around that I need minimal help. The first time I went to Israel, I went with Birthright Israel but I found the group structure took away from the experience. It was overwhelming being with the same 45 people or so every single day, and aside from 2-3 people, most of them got on my nerves the whole time. It felt more like a high school trip then a proper adventure, with every detail of our days planned out. I went back a year later with David, but we split up most of the time we were there, and that was a lot better. I figured out the intricacies of getting the bus from Eilat to Jerusalem by myself, stayed in the sketchiest possible hostel in Tel Aviv, and nearly had my bag blown up by the army in Acre. I went to Ireland completely by myself, but that was easy. Everyone spoke English and their infrastructure is highly developed. David & I traveled all over Italy together without too much trouble, and the only Italian I can really handle is asking if I was on the right train. I went to Asia on a whim – the whole trip was planned from start to finish in about 3 weeks. I went with GAP Adventures, who took care of the nitty gritty details like transport to and from the border, accommodations, guides, translators, breakfasts, and things like that. All I had to do was buy a plane ticket and get my Vietnamese visa in advance. It made a quickly planned trip to a region I knew less about a lot easier, and took away a lot of stress on my part since I didn’t have much time to plan. It kind of changed my life, and led to that whim to uproot my life and move to Toronto. Oh, and I’ve got those pet rats I’ve mentioned in the past. They’re like small, intelligent caged dogs except they only live 3 years or so.